Print design has the physical constraint of the canvas. The format is fixed. The situation is different on the web. We can’t know in advance exactly how someone will view our sites. We don’t have a fixed canvas. We need to create websites with the ability to adapt and respond. Designing for the web means being open to the flexible nature of the web. We need to develop flexibly so our sites work well and look good across a range of devices and device characteristics. These are the ideas behind responsive design. Flexible grids — which are based on relative measurements, ideally elastic sites that are relative to something internal to the design. We want to be developing from the inside out. Content out, not canvas in. Flexible images — that can adapt to our adapting layout. We want to create images that can resize as the layout resizes while still looking good. The last few weeks we’ve gone over the details of each of the above and I’ll refer you back to those posts for the details. Even better would be to take a look at the work of Ethan Marcotte. Ethan is the person responsible for responsive web design and my posts, including this one have relied heavily on his work and writing. I can’t recommend the links above enough, particularly the last link, Ethan’s new book on responsive web design. Seriously it’s $9 for a digital copy. If you want to learn responsive design spend the $9 and read the book. With the technical details covered elsewhere I want to spend the rest of this post with some thoughts about responsive design including some ideas for developing a responsive workflow. InteractiveWall from Festo HQ on Vimeo. I’m only beginning my exploration of responsive design. I can’t offer advice based on experience at the moment so I’ve been leaning on the advice of others, mostly Ethan. I would however like to share some thoughts as one beginning the exploration. However in the end it’s browser and object detection. If history is a teacher developers will push toward standards over detection and device makers will become more consistent in how they render websites. At the time I was a little too focused on the media query part (perhaps I was just reaching for cons to balance the pros in that post). I’d like to amend my previous thoughts. The problem in the past with browser detection was how complicated it was and that it didn’t always work. Media queries don’t have those same issues. I wasn’t entirely sold on responsive design then. I am now. I can now clearly see it as the way forward. 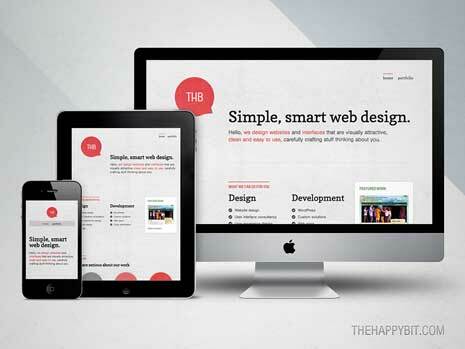 Mark Boulton recently posted that responsive design is s shift in how people design websites. He suggested that designers are still working out the details and eventually something else will come along leading to another shift, but this is the current path forward. I completely agree. This is where web design is currently heading and if you ignore responsive design you stand a good chance of being left behind and designing sites that look out of date. Is One HTML Document Enough? In his book Ethan mentions that responsive design is serving one html document to countless browsers and devices to ensure the design is as portable as possible. He also points out that not everyone agrees with this approach and their arguments mainly come down to 2 things. 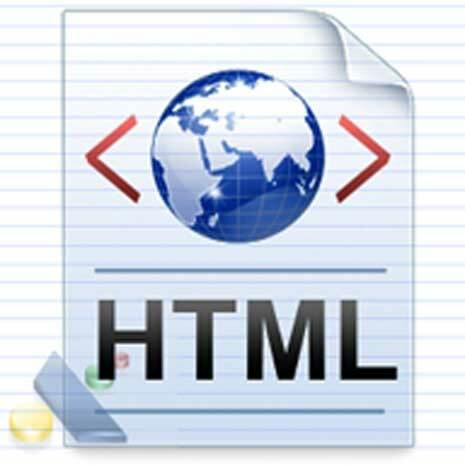 Because of the above some think serving different html documents to different devices is the better approach. Both points above are important considerations, but they rest on assumptions that may or may not be true. Research suggests the most common use of mobile devices occurs in the home. The context probably isn’t as different as some might assume. Viewing on a tablet likely doesn’t lead to significantly different goals and priorities than viewing in a browser, especially while leaning back on the couch. The context is probably more dependent on where a person is physically than the device used. For some sites it will make sense to have a dedicated mobile version. For most it probably isn’t worth the extra effort and cost. Personally I think some of these changes in priority and context can be accounted for through responsive design. I’m sure something will come along later that will be better, but I’m also sure this is the right path to walk right now. The technical details with improve and designers will find better ways to work with those details. What might be even more important where responsive design is concerned is the thought process and workflow it inspires. In his book Ethan walks through what he considers a good responsive workflow and mentions the following. Identify breakpoints — Which devices are you designing for and what resolutions do they have? Prototyping — Design changes for device and resolution will be harder to show with comped images so move things to the browser sooner. Create a prototype and then refine it in the browser. Mobile first — Decide what’s most important for your audience and serve only what’s needed to the least capable devices instead of hiding things for that device. Last week when discussing media queries I closed with a question about the breaking points in our designs. Where should we set those breaking points and how many should we set. I don’t think there’s a single answer to either question. It will come down to the specifics of your design, audience, etc. However we can look at the sizes of the common devices people use to consider good values for our breakpoints. You wouldn’t set different media queries and css for each of the above, but you’d probably choose from the values above to set your own points of change. The site Media Queries (a great site for responsive design examples) recommends using 4 breaking points as screen shots when submitting your responsive design. 320px, 768px, 1024px, 1600px. Again how many and which you use really comes down to the specifics of your project and design. In recent years there’s been input from the design and development community in regards to our general workflow for building sites. A big part of the workflow has usually been designing comps with pixel perfection in Photoshop, Fireworks, or similar. Many have begun to rethink that approach. Remember we don’t have the constraint of the format to guide us. Tools used to design for the web need to be more flexible than their equivalents for print. You can’t see how a design responds in a single Photoshop comp. Better is to take things to the browser sooner. Create a working prototype so you and clients can see how the design responds and keep iterating and refining. That doesn’t mean we should ignore Photoshop or wireframing or anything else where we work solely in pixels. Instead it’s about moving to the browser as soon as possible. The idea behind mobile first deserve its own post so understand what I’m saying here barely scratches the surface. The mobile first ideas come from Luke Wroblewski and below are two of his posts on the subject. Above is a one of Luke’s presentations on mobile first. I’ve also included the PDF that goes with the presentation in the links below. We’re trained to think browser on computer first and then remove or hide things for different devices. This is really the opposite approach we should take. We should start where things need to be more minimal. Mobile first forces us to think about what absolutely needs to be included in a design and to serve them to the least capable devices. We should be scaling things up instead of reducing them down. A natural next step from mobile first is progressive enhancement. Start with the minimum and build from there. As part of this Ethan suggests our media queries should take on a slightly different form than how we’ve talked about them until now. Notice the change from max-width to min-width. Here we’re sending the least width the most necessary styles and from there building up as more can be included for wider screens. We can also serve smaller devices smaller images and replace those images with larger versions as screen size increases. We might even choose to only add some content for wider screens and more capable devices. Again much of this will come down to the specifics of your site and audience. This overall approach is probably somewhat different than what most of you are used to. I know much of it is different for me. However it makes a lot of sense to approach web design this way and I’ve been slowly changing my own workflow. Responsive design is something I think we all need to pay attention to. Mark Boulton is right. This is not a trend. It’s a shift in web design thinking. Responsive design takes a number of best practices like elastic layouts and progressive enhancement and combines them into a new way to think about and build websites. None of the above is difficult. The hardest part will likely be changing your workflow and developing a responsive mindset. I’m still learning to make these changes myself and I’m sure over time I’ll have more to say about everything we’ve been talking about these last few weeks. Out of curiosity how many of you are currently building responsive sites or are looking to develop them? What have you found are their pros and cons? What have you found to be the easier and more difficult aspects of responsive design? Great points, I especially agree that it’s a bigt shift in mindset and design process. Those who understand how to work with responsive design will have the edge on designers/developers who are stuck in the fixed “print design” analogy. 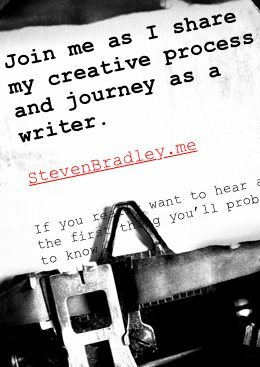 I just rebuilt my site using responsive techniques, let me know what you think. Thanks Paul. This is definitely a shift and something we should learn. The details will change, but the mindset won’t. Nice job on your site. Did you submit it to the Media Queries site? It turns out that print design with its ‘restrictive’ single sized canvas is actually much easier on designers as opposed to catering for a whole range of devices of varying canvas sizes. This explosion of tables and cell phones are great for content providers who have a much wider audience than they ever did, but it comes at the expense of the designer who has to constantly adapt and change his workflow to account for all these new screens. I wouldn’t automatically say print is easier. Print designers have a number of issues to deal with that web designers don’t. They need to have more knowledge of paper and the printing process. I think it’s more we have different constraints. In print the canvas is fixed. On the web we can’t use that constraint. That certainly makes part of our job more difficult (also more interesting in my opinion), but I would think print designers can list many things they need to consider that web designers don’t have to think about. – Will build sites from 320px up now! – I have been experimenting with media queries, but doing it from desktop to mobile. This has been okay because I’ve used background images in CSS. However, it’s not the cleanest CSS code I’ve written. Thanks Kanwaljit. I’m working on my first real responsive project (a redesign for this site) and I have to admit it was easier to start with the desktop first. I did at least thinking with a mobile mindset in the sense of thinking about what’s really necessary with the content.